If you’re anything like me, you did a significant amount of retail damage the past few days between Black Friday sales at the mall (where I literally almost took out a small, older woman for a Self Portrait dress on double markdown. DOUBLE MARKDOWN) and Cyber Monday internet surfing yesterday (Amazon literally contacted my husband today to see if our card had been compromised). And with the countless number of high-priced toddler toys lining shelves at Target and Toys R Us, it’s easy to get sucked into the marketing of it all. I didn’t end up buying it, because the same thing would happen with that $59.99 purchase that did with every one that came before it: after a few days, it would end up at the bottom of the toy pile next to the 30th anniversary Strawberry Shortcake doll I needed her to have. But I came the hard realization that perhaps some of these purchases may have been more for me than my two-year-old (GASP!). 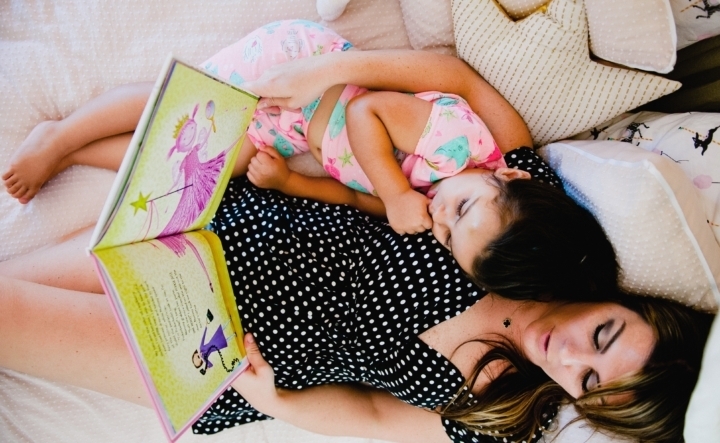 Hannah from @CaliforniaToddler is a teacher turned full-time mama, and an absolute godsend when it comes to anything #toddlerlife. 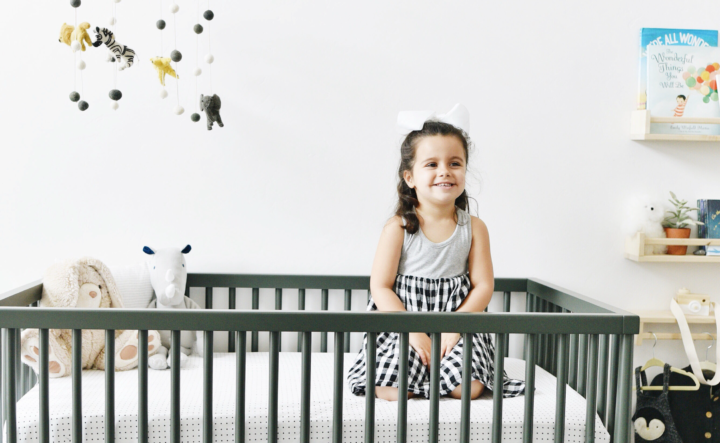 Today, she’s asking parents she is talking parents to be more imaginative (and maybe just a bit less lazy) when it comes to toddler time activities. Not to mention, she’ll save you from at least a handful of those needless $59.99 expenses. As a busy toddler mama and an educator, I know the importance of keeping your little one occupied and stimulated. But that doesn’t always means opening your wallet to spend needlessly on toys that will end up quickly forgotten. 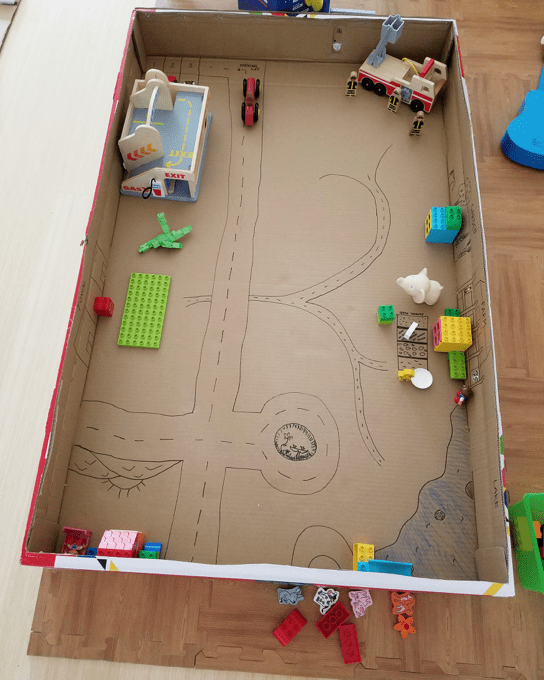 Instead, I’m here to challenge you to redefine your idea of “toys” and look around you for daily inspirations to encourage pretend play, independent play, exploration, curiosity, and fun for your toddler! This list of toddler activities (and outside-the-box toys), are everything you want (maybe minus the dirt) for your inquisitive, energy-filled toddler to be pretend playing with, and best of all, you probably have it all within reach…with zero prep required! You Don’t Always Have to Think Outside the Box. Really, a box is the best toy ever. It can be anything and it can change at anytime. And, if you are like me and have an Amazon Prime addiction, they are showing up at your doorstep in all shapes and sizes on the regular. Give them to your toddler. Cut a hole in it, add some tape to it, drive it, build with it, draw in it, sleep/sit/stand/climb in it, and/or add other toys to it. Don’t think about it too much, and let your toddler lead. Kids loves sticks. I’m not totally sure why, but sticks for some reason or the other have a longevity that reaches far beyond any store bought toy. So, my question is this: why fight it? 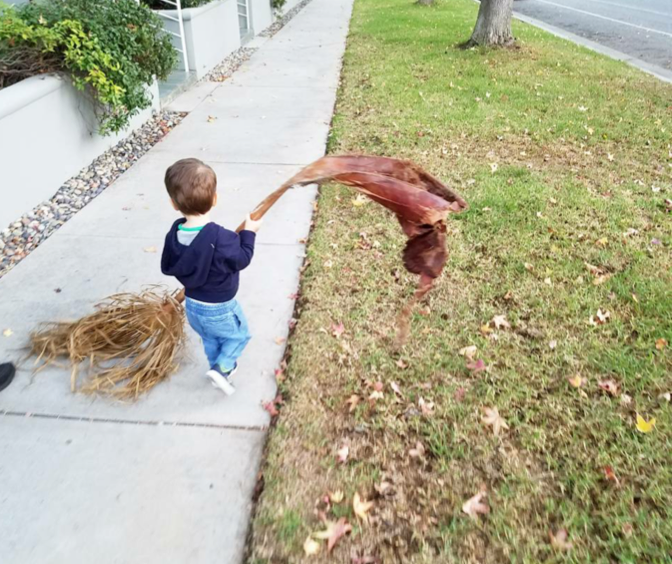 Let your little one play with the sticks (or palm tree fronds)! They’ll want to pick them up, carry them and dig with them. They’ll insist on collecting them, comparing them, sorting them and banging them (preferably on a surface other than the kitchen table). As your child’s partner in crime, your main job is simple: talk to them about it. Using your words to help narrate their play is a huge opportunity for them to learn: “This stick is long. This one is prickly. This was is brown/green/ curvy/broken….” You get the point. We love shadows over here! So much that my toddler has requested we sing a song about shadows (which I had to make up on the spot, so I’ll spare you my lyrics)! Turn down the lights and open up your windows, or turn off the lights and grab a flashlight. Go on a shadow scavenger hunt, looking at shadows and deciding what shape/animal/object each resembles (like you would do with clouds). 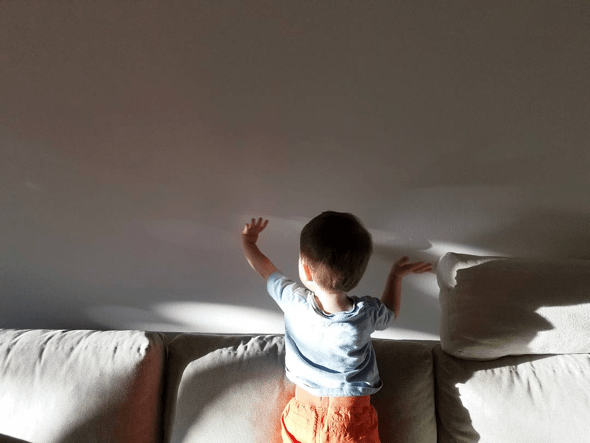 Play with shadow puppets and charge your toddler to help you figure out how to make the shadows appear and disappear. 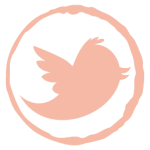 Describe and ask your child questions about what he or she is discovering. My toddler is obsessed with anything he can pull from my kitchen cabinets. And save for the knife drawer, I pretty much let him! Kitchen tools have endless possibilities when it comes to toddler playtime. He can stack mixing bowls and Tupperware, examine shapes and sizes with measuring cups and spoons, feel the different textures from your spatula to the wooden spoon, make different sounds by banging on drum pots, and so on and so on. 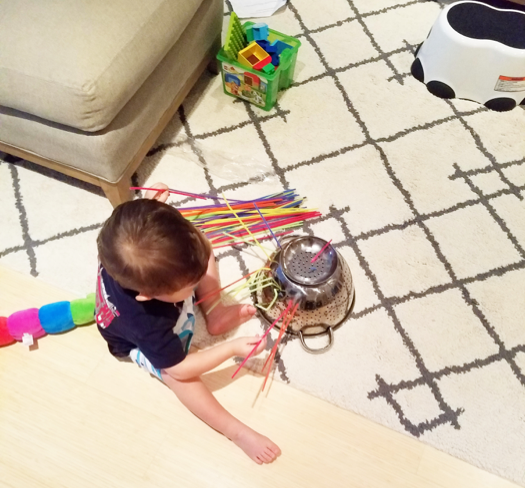 In our house, I can pretty much guarantee an hour of uninterrupted playtime by simply offering a metal strainer and a stack of pipe cleaners (or uncooked spaghetti if I’m desperate). It’s really a phenomenal task to get kids working on their fine-motor skills and hand-eye coordination! This might feel a little obvious, but seeing as though we live in the iPad generation, I think it’s an important one to be reminded of: Get your kids outside. Being in nature with space to move and explore is so fundamentally important for our little ones. Just let them go at the trees, dirt, mud, bugs, plants, leaves, puddles, rocks—all of it. Let them touch, feel, smell, hear what makes up the world around them. I like to bring a bag along when we go outside for collections and creations. 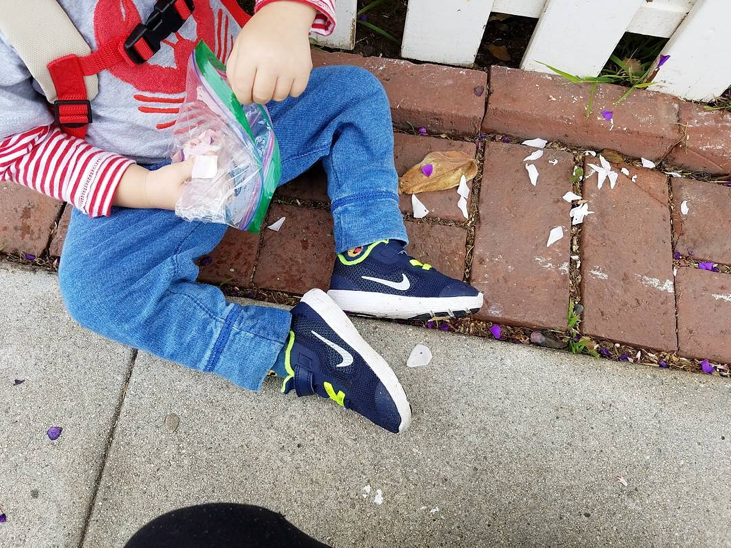 We recently did an art project with the leaves and flower petals we collected on a walk (it turned out to be a great activity to teach my son about picking plants and petals; if it was attached to the plant or flower we couldn’t pick it, but all the leaves and petals on the floor were free for us to collect). At the end of the day, the point is this: the best activities for our children are those that require imagination, effort and perhaps a bit more engagement from their caregivers. Look, I understand as much as the next mama that depending on Daniel Tiger to get you through ‘til the end of the day is sometimes what you need. Life and (parenthood) is all about finding a balance that works. I just suggest that the next day you commit to getting down and dirty with your toddler. For example…go kick rocks! 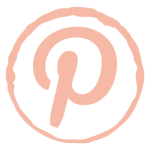 I’d love to hear from you all about other inventive ways to keep kids occupied and engaged! 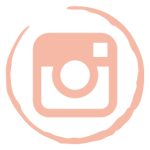 And don’t forget, follow me @CaliforniaToddler for more tips and tricks!